We are Zelda Universe, one of the largest and longest-running websites dedicated to Nintendo's The Legend of Zelda franchise. Established in 2001, we've grown from a tiny fan site to a professionally-recognized outlet with a staff of more than 100 volunteers, and thousands of Zelda fans visiting our website, forums, and media channels every day. We strive to provide everything a Zelda fan could ever need, from the latest news to in-depth feature articles, from game guides to multimedia. We also have a huge forum community. We're here on Patreon because our website is expensive to run, we're working on a lot of high-quality content including videos and beautiful game guides, and we see this as a fun way to engage Zelda fans - not only will you be supporting us, you'll be able to get involved in what we do. Our website is run entirely by volunteers who donate their own time and money to keep the site alive. By donating even the smallest amount, you'll be providing us with stability, which in turn makes it easier for us to pay the server bill, create content, and expand to do even more. We're currently producing videos on our YouTube channel (including weekly Zelda news, a mailbag, and English dubs of Zelda games), beautiful game guides that pay homage to the franchise, and interesting and in-depth feature articles. Behind the scenes, we have a website design and development team creating new features and fixing issues. We're already hard at work developing a large, interactive guide for The Legend of Zelda: Breath of the Wild, and we're currently establishing a Twitch presence with plans to provide regular streams. Each and every donation helps, no matter how small, and even if you can't donate, please help us spread the word by sharing our Patreon! No matter how much you donate, you'll immediately gain access to our Patreon blog, where you'll get a behind-the-scenes look at what we're working on, and other Zelda-related things we write about. You also have the opportunity to talk to us, and other patrons, directly on Discord where we'll hold regular voice chats. 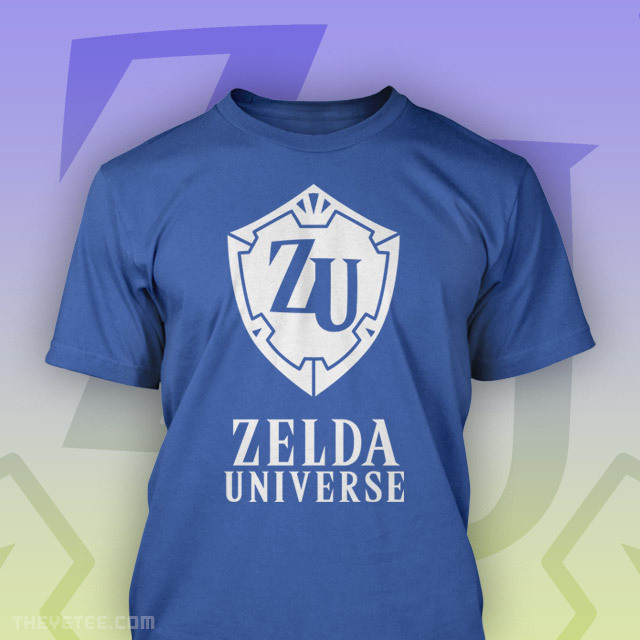 If you donate at least $20 per month, you'll get one of these beautiful Zelda Universe t-shirts from The Yetee. Thanks for your support and considering helping us out, and we look forward to bringing you all the best Legend of Zelda content for a very, very long time to come. You'll get access to our Patreon blog. You'll get access to our exclusive Patreon channels on Discord. We'll add your name in the credits at the end of our videos! Get a special shout out at the end of the video! We will add your name to the credits of our videos as a Patreon Producer. You will gain the Executive Producer title in your credits for future videos. The leaders at Zelda Universe will write you a personal letter expressing our gratitude! We'll also throw in some small Zelda swag too. It costs money to keep our servers up and running, especially to maintain an optimal configuration to keep them fast and efficient. Support from patrons means we can deliver a better user experience on our website and forums.